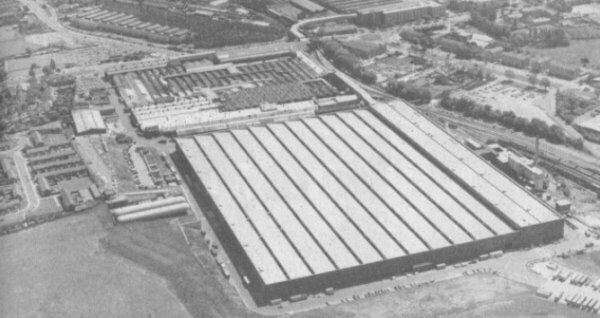 Longbridge, circa 1980. The huge site had a capacity to produce over 500,000 cars per year. Given MGR’s current volumes, doesn’t it make sense to start slimming down the facility, whilst managing the land properly? “The band of die-hard critics who have continually questioned the very existence of MG Rover may well view St Modwen’s acquisition of the car firm’s Longbridge site with a jaundiced eye – but from a business point of view, it makes perfect sense. Birmingham-based St Modwen has made it plain that it is not – repeat not – looking to make a fast buck from the deal. The Edgbaston developer would be more than happy if the UK’s biggest independent car manufacturer stays there indefinitely. And that is the essence of the agree-ment – St Modwen may well now own the site but MG Rover still controls it, at least for the next 35 years and probably well beyond. It also gets a £42.5 million cash injection which will be ploughed into new products – not least the development of a new medium-sized car which observers say is long overdue. So what lies ahead for Longbridge itself? In the short term, the answer would appear to be “business as usual”. The agreement between St Modwen and MG Rover means there will probably be little physical change to the site for some time to come. But long-term predictions are more difficult to come by. However, one thing is certain. Land eventually deemed surplus by MG Rover – not St Modwen itself – will change hands. Over the past few years St Modwen has been quietly carving out a strong reputation for its sale and leaseback deals – and in the way it manages its property portfolio. In the Midlands it has been snapping up some of the best industrial sites in the region. Late in 2002 St Modwen bought the Alstom Transport train making site at Washwood Heath in Birmingham as part of a £111 million sale and leaseback deal with the debt-laden French group, which took fixed-term leases of between five and 15 years on most of the properties. The rental, in the case of Longbridge some £3.6 million a year, provides a valuable stream of income to use in the interim period while ‘marshalling’ – preparing for when the land is free to be redeveloped – is carried out. By buying land at today’s prices – not tomorrow’s hypothetical price – and by not being in any hurry to clear the tenant from the land, St Modwen also strongly reduces its cost base. It can afford to wait. It can take a longer-term view, giving its tenants – in this case MG Rover – time to resolve issues while exploring the full development potential of the site. Despite not actually speaking diectly to Towers or any of the three other Phoenix directors, the newspaper’s article went on to explain how the company’s fortunes are taking something of a nosedive. Towers himself did post his defence via local MP Julie Kirkbride. He said that he “would very much like an opportunity to have a public debate of just who did what to save this company”. One’s heart has to go out to Towers, who must now feel that as a result of this media attention, the public’s goodwill is beginning to run thin. 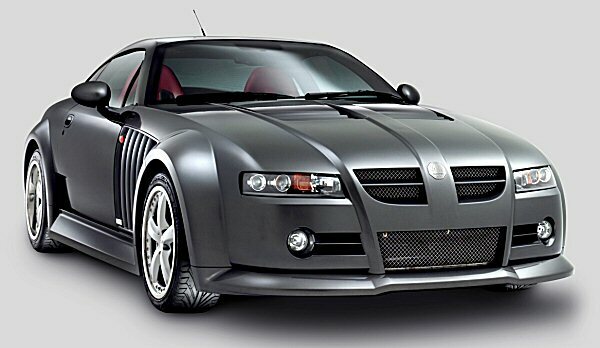 Back in 2000 when he Triumphantly returned to Longbridge, most industry experts gave MG Rover no more than two years. The company’s continued existence has proved many sceptics wrong, but now that it is now entering into Rover’s Centenary year, there are many tough challenges to surmount. Not at least, getting the RD/X60 nearer to production. MG Rover’s year end performance could have been so much better… Up to November, MGR had been steadily recovering from the its low point at the start of the year; this process had progressed to such a degree, that by the end of October, MGR was actually ahead of 2002. Then came November, and all the bad press. The cumulative effect of November and December was that MGR’s 2003 sales had been dragged down to below that of 2002. If November’s crash had been bad, at least MGR management could take solace in December’s figures; yes, they were still down on 2002, but less so than the previous month. Despite a lukewarm press reception and a lack of any meaningful publicity campaign, CityRover is now on-stream and the effects of this car’s sales should hopefully kick-in by the end of January 2004. Whatever the case, let us hope that MG Rover has a trouble-free centenary year, and those green shoots of recovery that we are all hoping for, start to appear soon.